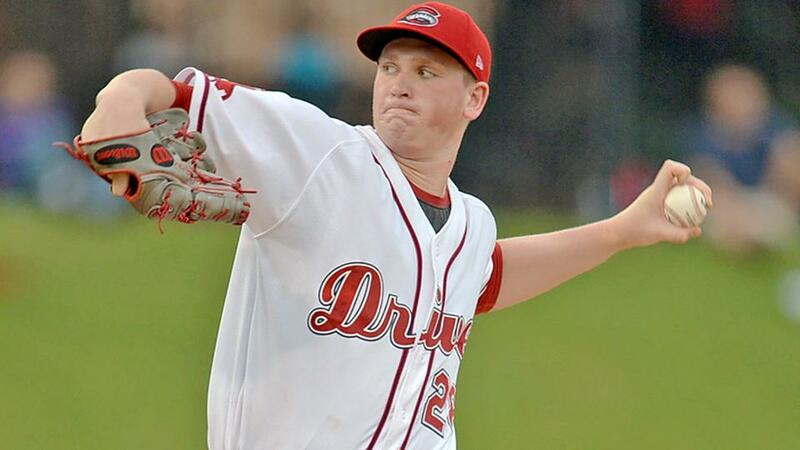 The Greenville Drive come to Columbia, SC this weekend to take on the Columbia Fireflies. If all things go as planned I will be there with media credential in hand on Friday night. Salem is 20-20 and sits in third place. Minor league records are not always an indication of minor league system health but the farm has definitely taken a hit since Dave Dombrowki has been in charge. Dombrowski has always been known as a guy who uses the minor league system to make the MLB team better. While the Red Sox are World Series contenders this year you can start to see potential problems in the near future. The Red Sox are also dealing with the fact that their top prospect, Jay Groome is out for the season with injury and their #2 prospect Michael Chavis is serving a suspension for violating the PED policy. Not good at all. Here is my blog post last April when Jay Groome made his first professional start. Follow me on twitter @thepeskypole for updates, pictures and video from Friday's game as the Greenville Drive play the Columbia Fireflies.